The railway post office (RPO) was once common on passenger trains across the country. 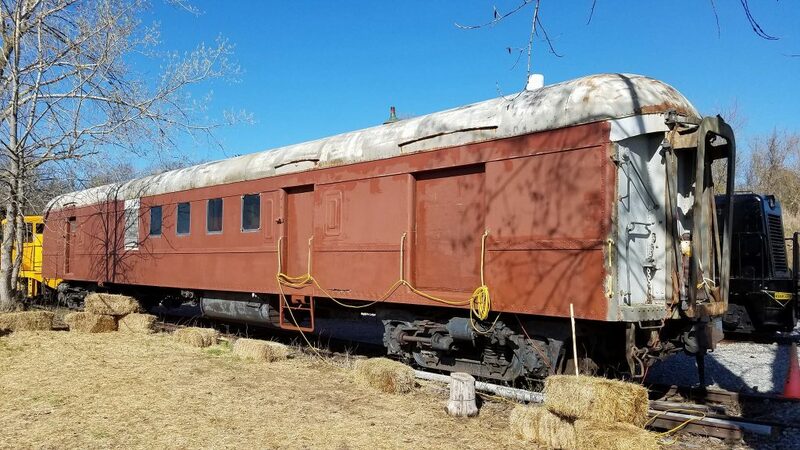 It was a railroad car used to sort mail en route, in order to speed up delivery. These cars were staffed by special Railway Mail Service personnel employed by the Postal Service. Railway Mail Service dates back to 1869, inaugurated by the United States Post Office Department. Thanks to lucrative contracts, many American railroads earned substantial revenues carrying the mail. Even after the substantial drop-off in passengers after World War II, many routes were maintained because the mail contract offset any losses. This would change with the advent of modern jet transportation. The Post Office cancelled most of the railway mail contracts in September 1967, choosing instead to move most mail by jet or by truck. Many passenger trains across America were cancelled following this announcement, as the railroads could no longer offset the passenger loss. The last surviving RPO was operated by Conrail between New York and Washington, D.C. It was discontinued on June 30, 1977, ending more than 110 years of railway mail service. Our Railway Post Office No. 6516 was built for the Pennsylvania Railroad at their Altoona Shops in 1910 as part of class M70. It was rebuilt in 1935 with a baggage compartment and reclassified M70b. 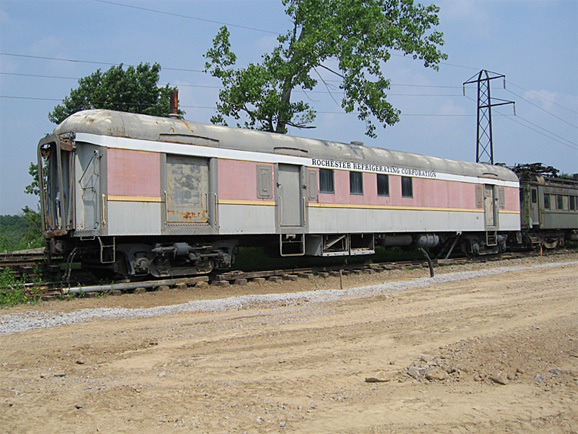 Between 1950 and 1953, fourteen M70 baggage cars were rebuilt into class BM70nb baggage-mail cars. It became part of the Penn Central fleet in 1968, and then entered work train service under Conrail in 1976. The interior was gutted for work train service and all mail-handing appliances were removed. It was subsequently purchased by the Rochester Refrigeration Corporation and stored at their Rockwood Place facility for many years. 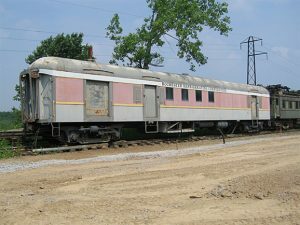 In 1994 the car was donated to the museum and was moved to Industry. This car is currently not open to the public. Currently the car is being cleaned out to be used as additional museum display space. Sold to Rochester Refrigeration Corp.